EWG.org just released a list of manufacturers who continue to use BPA (bisphenol A) in their products along with a list of the “Best Players” who no longer do. However, there is a big problem lurking with those on their “Best Players” list: Most manufacturers NOT using BPA are instead using its endocrine-disrupting relatives BPS (bisphenol S) and BPF (bisphenol F). A recent comparison of BPA, BPS and BPF found NO evidence that these bisphenols are safer than BPA and in fact may “have added disruptive effects that have not been detected with BPA.” This means that those “Best Players” may not be good at all!!! Today, BPS is used in thermal paper products marketed as “BPA- free paper” — your cash register receipts thus continue to provide significant exposure to bisphenols. BPF is found in BPA-free water pipes, dental sealants, and food packaging. Both BPS and BPF are in BPA-free personal care products (hair care, make up, lotions, toothpastes), paper products (currency, boarding passes, tickets), and food (dairy products, meats, canned foods, and cereals). BPS and BPF are present in about the same concentrations as BPA in humans, with BPS found in 78% and BPF in 55% of those tested. BPS killed Daphnia (a food source for many fish), it has acute toxicity. It is estrogenic in rats. In zebra fish, it changed estrogen and testosterone levels, disrupted reproduction, and increased malformations in baby fish and had negative effects on the development of their nervous systems. Some but not all studies showed BPS to be stronger than the strongest human estrogen. There are signs that BPS can damage our liver cells and our DNA. BPF disrupts estrogen, testosterone, and thyroid function. It is too is acutely toxic to Daphnia. It has a xenoestrogenic effect in rats and altered thyroid hormone levels. There are signs that BPF may be a stronger estrogen disruptor than BPA is, while BPS may have a somewhat lower estrogenic effect than BPA. But many scientists think their relative potency is irrelevant because any estrogen disruption spells trouble. Finally, both BPS and BPF had a much greater effect on the hormone progesterone. Hence the study’s conclusion that the new BPA replacements may cause problems not seen BPA. 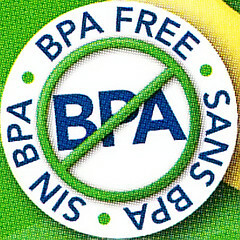 It is absolutely clear that we should avoid BPA. It is equally clear that we need to look far beyond “BPA-free” to protect our health. And this is possible: Many of Eden’s canned foods use waxes instead of plastic. Puget Consumer’s Co-op (PCC) uses vitamin C treated cash register receipts. At the same time, others on the “Best Players” on EWG’s list are villains in disguise, having simply switched to other bisphenols. 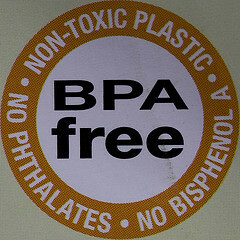 Remember, we need lists of “bisphenol free” products, ” BPA-free” is not good enough. You are welcome to use the blog’s original images and content for non-commercial purposes if you attribute the work to TQIDiet.com. This work is licensed under a Creative Commons Attribution-NonCommercial 3.0 United States License. This entry was posted in chemicals, Food, Yikes and tagged bisphenol a, BPA, BPF, BPS, endocrine disruptor, estrogenic, EWG.org, food, receipts, toxins, xenoestrogen. Bookmark the permalink. Thank you again, Kathy, for alerting us to what is really going on in the world of food and toxins. Thank you for all the research you do and share with us. Excellent reporting on this. You are my “go to” person to get the first word on trending developments in the world of nutrition.